ATHENS - The University of Georgia checks in at No. 13 in the USA TODAY Sports preseason baseball poll and No. 15 in Baseball America’s preseason top 25, it was announced Thursday. Georgia welcomes back 25 returning lettermen from a squad that posted a 39-21 mark including 18-12 in the SEC a year ago. The Bulldogs were a national No. 8 seed and played host to an NCAA Regional where they reached the final to cap their finest season in a decade. Georgia’s Ike Cousins head baseball coach Scott Stricklin is in his sixth year with the Bulldogs. The USA TODAY preseason poll features eight Southeastern Conference teams including in the top three spots: LSU (#1), Vanderbilt (#2) and Florida (#3) and those squads all visit Foley Field this season. Also in the top 25, there’s Ole Miss (#10), Arkansas (#12), the Bulldogs (#13) followed by Miss. State (15) and Auburn (#20). Baseball America had eight SEC teams in there top 25 with Vanderbilt in the top spot followed by LSU at No. 2 and Florida at No. 4. In a related note, Georgia has appeared in the top 25 preseason rankings of both Collegiate Baseball (No. 13) and Perfect Game (No. 22). 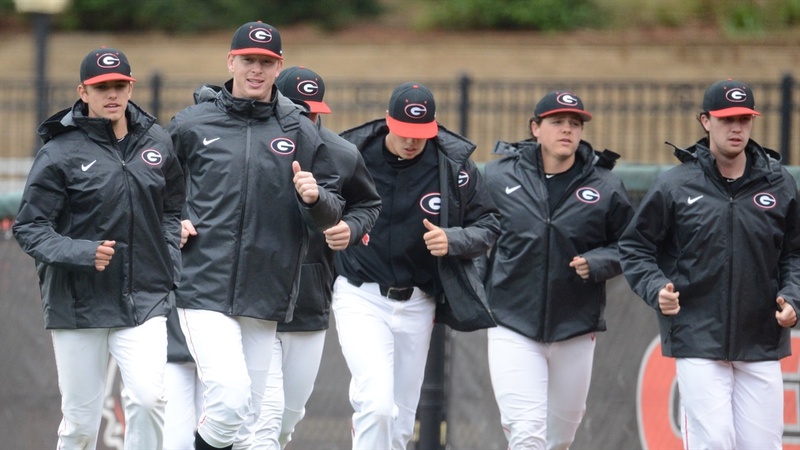 Georgia resumes full squad workouts on Jan. 25 with the season opening series starting on Feb. 15 with a three-game set at Foley Field against Dayton.